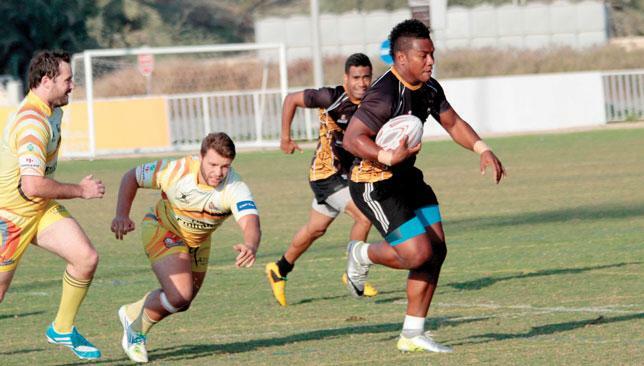 Al Ain Amblers will be chasing the pack this year. Life will be very different for UAE Premiership new boys Al Ain Amblers this season, both on and off the field. The Garden City club enjoyed the most successful season in its 31-year history by winning the 2014-15 UAE Conference, finishing in style by going through the campaign unbeaten. This year the Amblers join the exalted company of UAE heavyweights Dubai Hurricanes, Dubai Exiles, Jebel Ali Dragons, as well as Premiership champions Abu Dhabi Harlequins and West Asia champions Abu Dhabi Saracens. Ahead of their first foray into the top-tier, there has been sweeping changes made behind the scenes, with new director of rugby Rocco De Bruyn the only committee member remaining from last year. De Bruyn has already been busy in his new role, overseeing the appointment of new first team coach Andrew Rouvi, who replaces interim head coach Keleto Dyer who had briefly stepped into the void left by the outgoing Peter Aki. David Tito-Nekeare will be in charge of the club’s second team, Chris Ebbinkhuysen is the new youth team manager and Sean Emmett has replaced Andre Fourie as club chairman. The hugely popular Manu Vilsoni, meanwhile, remains as women's team coach. The club’s makeover behind the scenes continues with work ongoing on an additional swimming pool due to be completed soon, while the creation of two additional rugby pitches are set to be completed early in the season. With a third team also set to play in the new third tier Community Shield, the club is expecting numbers for senior men’s players to get close to 100. The woman's team is also expected to grow this year as they go into their second full season. Amblers’ Premiership debut will see them travel to Dubai Hurricanes on opening day, Friday, September 25. Giteau is back in the side. Wycliff Palu and Matt Giteau were Friday recalled to the Wallabies 31-man squad for next week's Rugby Championship decider against the All Blacks, with uncapped prop Toby Smith also drafted in. Australia and New Zealand are level on nine points ahead of the August 8 Test in Sydney — effectively a final — and coach Michael Cheika has brought back two of his experienced big guns. 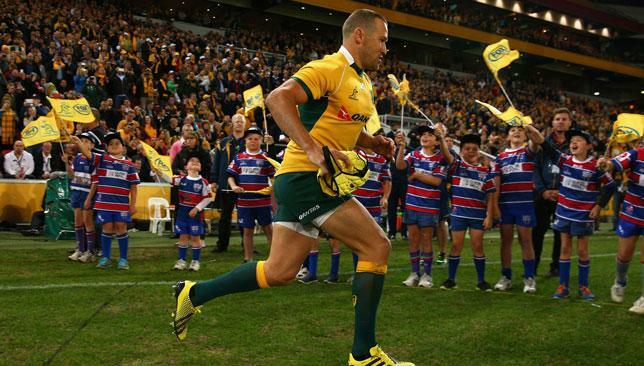 Veteran Giteau returns after being rested from Australia's bonus-point 34-9 victory over Argentina last weekend having taken a physical battering against the Springboks in Brisbane earlier this month. Powerhouse No.8 Palu was rested from both the opening two Test victories to overcome injury niggles but has been deemed fit to face the All Blacks. A surprise was the call-up of 26-year-old Smith following a consistent Super Rugby campaign for the Melbourne Rebels. "Toby has had a solid season with the Rebels, and has been working really hard while the group has been away," said Cheika. "Our intention was always to rest Wycliff prior to this camp, and he has come back in great shape and really eager to play." Cheika added that the squad was starting to come together ahead of the September-October World Cup in England. "We have been able to look at a few different combinations during the first two rounds of the Rugby Championship and the squad is starting to take shape," he said. "In addition to the 31 players, we'll be bringing some injured and fringe players into camp to continue their rehabilitation and manage their return to play. It's important that they remain connected and contribute to the group." Australia squad: Adam Ashley-Cooper, Kurtley Beale, Quade Cooper, Scott Fardy, Israel Folau, Bernard Foley, Matt Giteau, Greg Holmes, Michael Hooper, James Horwill, Sekope Kepu, Tevita Kuridrani, Christian Lealiifano, Stephen Moore (captain), Drew Mitchell, Ben McCalman, Sean McMahon, Dean Mumm, Wycliff Palu, Nick Phipps, David Pocock, Tatafu Polota-Nau, Scott Sio, Rob Simmons, Will Skelton, James Slipper, Toby Smith, Henry Speight, Matt Toomua, Joe Tomane, Nic White.